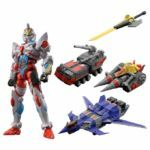 Joining the previously posted Super Mini SSSS.Gridman Max Power Set, we have a second set of SSSS.Gridman model kit goodness from Bandai’s candy toy division: with the Super Minipla GridKnight and Initial Fighter Gridman! As the name suggests, this set will contain both GridKnight and Gridman in his Initial Fighter colors along with a set of effect parts to go with both. 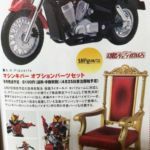 The set will be released as a P-Bandai exclusive item released in September and for 5,400 yen before middleman fees and shipping. There’s definitely been no shortage of merchandise for Studio Trigger’s hit SSSS.Gridman anime lately, Bandai’s joining the mix with the recently revealed Super Minipla SSSS.Gridman Max Power set! 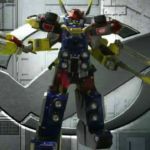 As the name suggests, the Super Minipla SSSS.Gridman Max Power Set will include Gridman Primal Fighter himself in addition to the Assist Weapons. The Assist Weapons will be able to combine into any of their various combinations. Super Minipla SSSS.Gridman Max Power Set will be hitting retail in September, priced at 10,368 yen or your region’s equivalency. 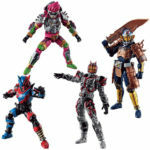 SODO Another Riders Set 1 Release Info! 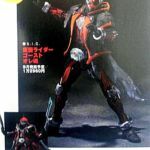 As you might recall, we got a nice teaser from Bandai announcing that a SODO set for the fan favorites Another Riders was coming down the pipeline, and we finally have our first look at these beauties thanks to some new photos that were recently released. 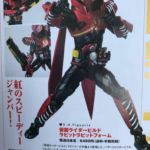 SODO Another1 will contain four Another Riders: Another Ex-Aid, Another Build, Another Faiz, and Another Gaim the set will release in July 2019. With this being numbered as the first set, one can only hope that we’ll see the other Another Riders somewhere down the road. 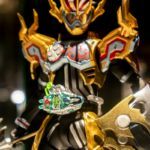 S.I.C Ghost and Fourze Release Info, Musashi Damashii Teased! 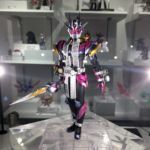 If you’ve been keeping up with our S.I.C coverage as of late, you might be aware that awesome looking S.I.C Kamen Rider Fourze and S.I.C Kamen Rider Ghost figures were both part of a sculptor’s competition, along with a new Ryuki and Kuuga and it seems like reception’s been positive enough that Bandai will be moving ahead on production on at least two of them: S.I.C Fourze and S.I.C Ghost. 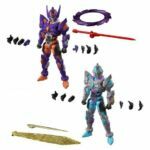 According to the scans, both figures are slated to come out in September at mass retail with a price tag of 12960 yen or your region’s equivalent. 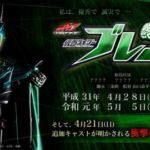 In addition to Ghost and Fourze, a teaser image for S.I.C Kamen Rider Ghost Musashi Damashii was also attached to the scan though, at the moment, there’s nothing indicating on if it’ll come out at all. Stay tuned, and we’ll be sure to let you know once pre-orders for these two are made available. › Companies: Toei, Bandai, Tamashii Nation › Show: Kamen Rider Ghost, Kamen Rider Fourze › Toyline: S.I.C.